A study recently commissioned by COGEN Europe studied the Primary Energy Factor (PEF) for electricity and the corresponding CO2 Equivalent Emission Factor (CEEF) applicable to technologies coupling heat and electricity sectors. The study, published by The Research Center for Energy Economics (Forschungsstelle für Energiewirtschaft abbreviated to FfE), asserts that the additional electricity demand from sectors subject to electrification will rely less on renewable electricity and more on fossil fuel generation, compared to the average electricity mix. 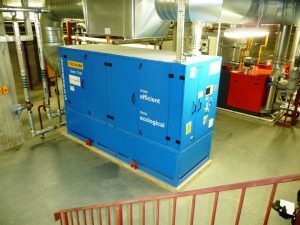 According to Decentralized Energy (Online), based on this study, associations including AEBION, COGEN Europe, EFIEES, EGEC and EHP are calling for a dedicated EU PEF approach for calculating the real efficiency of heating systems that use or produce electricity in order to inform energy consumers more accurately, whilst helping to meet the EU’s energy and climate objectives and goals. Euractiv (online) puts this into perspective by explaining that clean energy campaigners have struggled to draw attention to ‘primary’ efficiency, where savings are made at the source i.e. where electricity is first produced. The FfE study uses the “displacement mix” which is a simplified marginal method that assesses the efficiency and CO2 intensity of the electricity mix associated with the additional electricity generation and additional electricity demand from sectors subject to electrification and heating. Speaking to Decentralized Energy, Dr. Serafin von Roon, FfE Managing Director explained how the displacement mix method presents a new way of looking at Europe’s increasingly complex and dynamic electricity supply system. Shifting to the marginal ‘displacement mix’ approach should support policymaking throughout the energy transition, as it more accurately identifies efficient and carbon saving technologies, including those which couple the heat and electricity sectors, like Combined Heat and Power (CHP). So it could be taken that, should the displacement mix method of assessing efficiency as detailed within this research be more widely accepted, CHP could win even more favour throughout the EU. 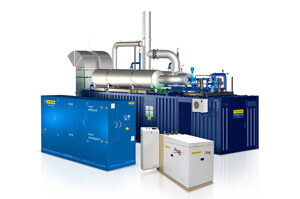 To find out more about whether CHP is right for your organisation, read shentongroup’s white-paper entitled “When is CHP the right renewable energy choice?”. For any further information on the cost-saving and operational benefits of CHP, click here to speak to a member of shentongroup: the UK’s leading technical experts in Standby Power, Uninterruptible Power Supplies and Combined Heat & Power Systems.